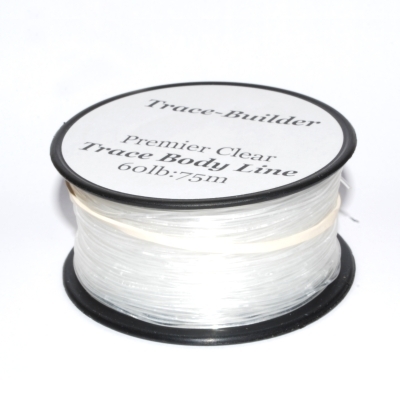 This Trace Builder Premier Clear line is designed to use as the rig body in all manner of sea fishing rigs for a wide range of species. It comes in 60lb breaking strain and is clear in colour to minimise visibility once in the water and can also be used for shockleaders. Supplied on a 75 metre spool.